These days you can buy pretty much everything online, right? Right but… for some things you better NOT go that way. Glasses, for instance. There are many reasons why you should select your prescription eyewear in a brick-and-mortar shop, where real, qualified humans can assist you not only with your choice of frames but, most importantly, advise you on the crucial selection of the lenses that will improve your vision. Browsing online can be a lot of fun – and a great way to explore the latest trends in eyewear – but here’s why you should visit your favorite optometrist to make your final purchases. Choosing a lens requires precision. And information. Most online sellers allow for basic lenses and, for a fee, some of them even have options for some “high index” lenses for more complex prescriptions. However, these options don’t cover the full gamut of choices available for complex or “strong” perceptions. Patients with high prescriptions, or those who are borderline, are better off with the advice of qualified optical consultants who can fully present them with all the choices and the most recent developments in lens technology. Patients with high prescriptions can easily be dissatisfied with a cookie-cutter option pre-chosen by an online vendor – a physical, trained professional, on the other hand, would have informed you on the best possible lens choices for your particular vision needs. Lenses need to be fitted. Have you ever purchased glasses with progressive lenses? If you have, you know that precision is key when fitting your new pair of glasses. Where you mark the beginnings of that progressive corridor can majorly impact the visual outcome. Some patients need the progressive corridors marked a little higher than “standard” or a little lower. You can’t do that online – you would be merely repeating information from previous fittings. And like any optometrist worth her salt will tell you, your eyes change through the years. Frames need to be fitted. A good eyeglass frame does to your face what a good frame would do to a work of art: enhance it. The best eyewear is the one that not only addresses your vision concerns but also fits and flatters the contours of your face and works harmoniously with your skin and hair tones and, in many instances, with the shape of your body. Have you ever been complimented on how good you look wearing glasses? Chances are, you picked that pair with the help of a trusted optical technician. Yes, most online vendors provide some cool tech in an attempt to mimic this person-to-person interaction. It’s fun, but it only goes to a limit. 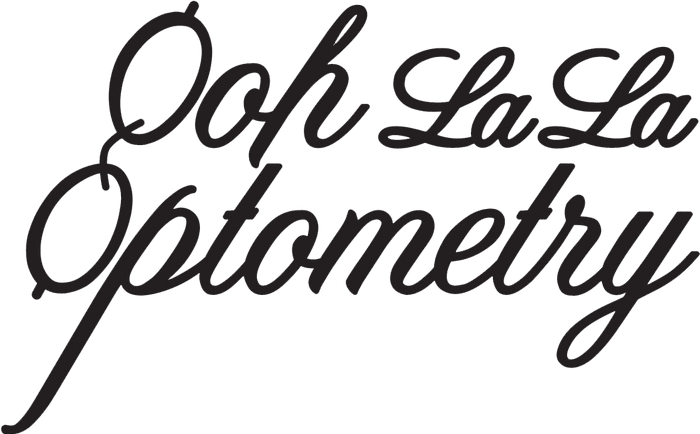 The online tech can be a good tool to help you decide for a certain shape or color, but nothing replaces the dedicated, patient and expert support of a well-trained optical technician. Frames need to be adjusted. Yes, most reputable online vendors will reimburse a purchase if the glasses are not to your liking but… can you afford to lose your investment of the most precious currency of all, time? Purchasing prescription eyewear in a store will give you access to unlimited adjustments as the glasses adapt to your face, movement and lifestyle.